PoppaNut often tells me stories about his childhood. And one of his favorite memories is Sundays at his mom’s house. His mom would make sauce all day long, while Anthony watched football. For those of you who are not Italian, let me explain this sauce concept. 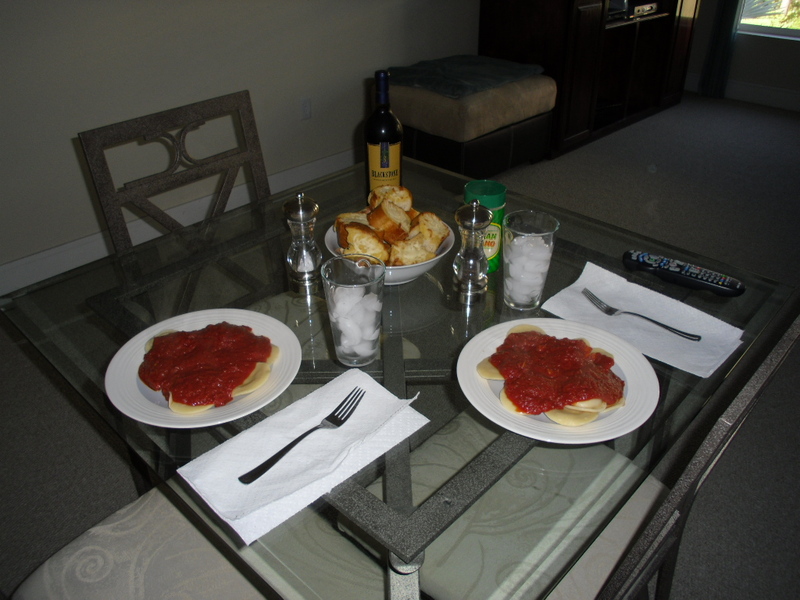 Before I met PoppaNut, I bought my marinara sauce in a bottle on the grocery-store shelf. And honestly, I never considered another option. 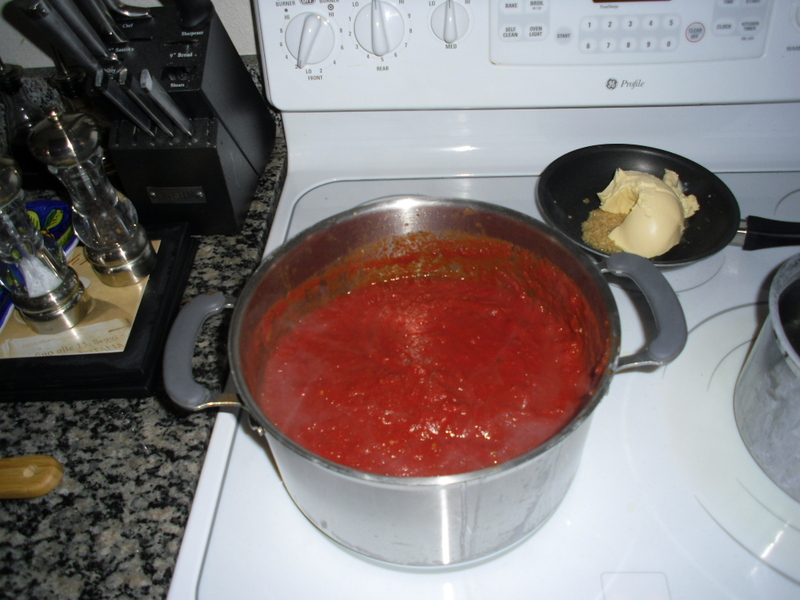 This homemade marinara requires a skilled chef to execute. There are secret recipes and hidden ingredients, and I certainly haven’t mastered this art. I have tried, but I know I just don’t make sauce like my in-laws. When my mother-in-law was in town last, I tried to spy on her and watch how she made it. She slowly stirs the sauce all day, carefully tasting it along the way. But try as I may, I still can’t master it when she leaves. Luckily, PoppaNut has taken mercy on me, and taken his hand at making the sauce. And it is unbelievable! He tends to it the same way his mother does, so carefully and skillfully. He takes such pride in every pot he makes, and he loves to see me light up when I take the first bite. So, every Sunday, PoppaNut carries on his family’s tradition of serving pasta with homemade sauce. It’s a wonderful tradition that we can incorporate into our home, and it makes us feel closer to his family as well. 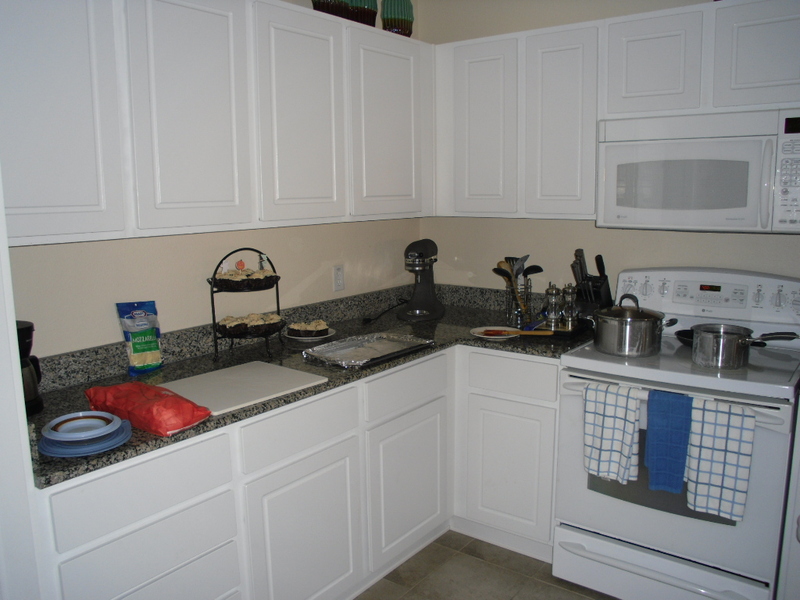 Plus, it allows me to stick with what I do best … making dessert! And that’s life in a nutshell … while your extended family might not live right down the street, you can find ways to incorporate their traditions into your family. I only have one comment…. What time? I really enjoyed reading this post. It’s great that people make time to prepare what they love. It’s even better that they share it with family too! I know that there are so many people that say that you don’t have to cook sauce all day but I am of the school that says the longer the better. Trust me…you will make delicious sauce that people will talk about. So much of cooking is all about tasting. I keep tasting the whole while I cook. If you watch closely and know what their end result tastes like, you will get it perfect. Good luck. Although I can never master it the way my parents do, I’m glad you love it baby.